ZDoom • View topic - .MD3 Modeling for (G)ZDoom. 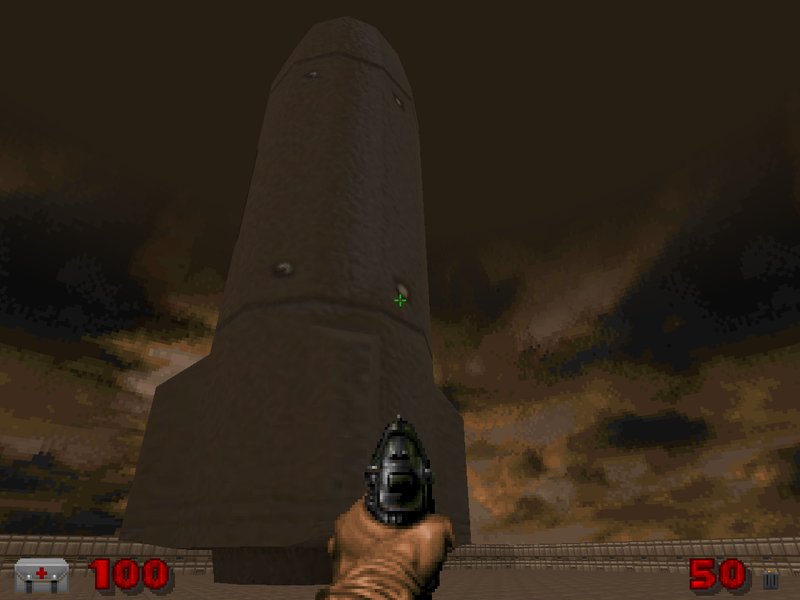 I'm currently working on a project in GZDoom, but there's one thing I'm unsure about. I'm debating whether to use .MD3's as opposed to sprites. What I want to know is, what's the best modeling program (free or commercial) for this? I'm aware of certain programs (Blender, 3DSMax, Maya, etc. ), but I understand that there's a polygonal concern with models... I don't want to go overboard, ya know, and I don't want to just use any old software, export it, and later learn that it has too many polygons! Ick, I think I'm just confusing myself. Anyone have any general insight into this? 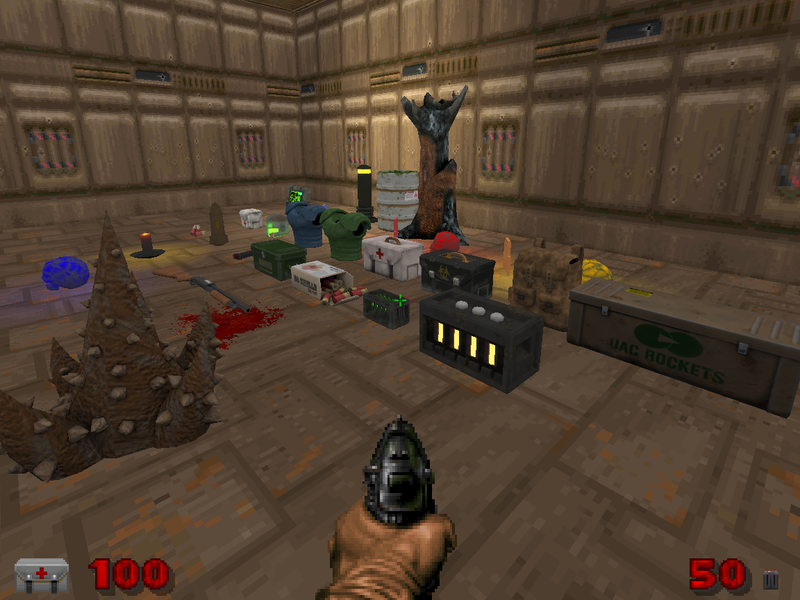 Re: .MD3 Modeling for (G)ZDoom. Usually I'm using Luxology Modo 601 to model and Misfit Model 3D to export to MD3 format. If you are good with Blender 2.5 or 2.6, you can use my modified version of MD3 exporter. MD3 model can hold no more than 8192 triangles, 4096 vertices and can have only one UV-map. Most modeling software will show you how many polygons and vertices you'r model has, so I don't think that'll be a problem. And if you exceed that, you can split you'r model into several models, then assemble them using MODLEDEF. MaxED wrote: Usually I'm using Luxology Modo 601 to model and Misfit Model 3D to export to MD3 format. If you are good with Blender 2.5 or 2.6, you can use my modified version of MD3 exporter. I see. Thanks very much. Do you have any examples of your work, just out of interest? Good god, man. Does that all run at a consistent 60 frames? To tell you the truth, a couple of years ago I gave modeling an honest crack and I just gave up. Do you know of any good tutorials I could use to help me get off the ground? Lysander wrote: Good god, man. Does that all run at a consistent 60 frames? Lysander wrote: To tell you the truth, a couple of years ago I gave modeling an honest crack and I just gave up. Do you know of any good tutorials I could use to help me get off the ground? Depends on what modeling tool you are going to use... All models you see on the screenshots above were modeled and painted in Modo 501. Took 2-3 hours per model. Tere are lots of good free modo video tutorials at Luxology.TV, and there are even better Professional Training Series there. Hey, those models surely look delicious! Good job!!! Tell me - where or how is it possible to give properties to a model? For example, if it's an enemy, where to set its attacking, wounded or death properties, or in case of a forest tree, where to set to make it "climbable"? I'll also tend to use some models, so this might be useful to know. What you need is DECORATE. 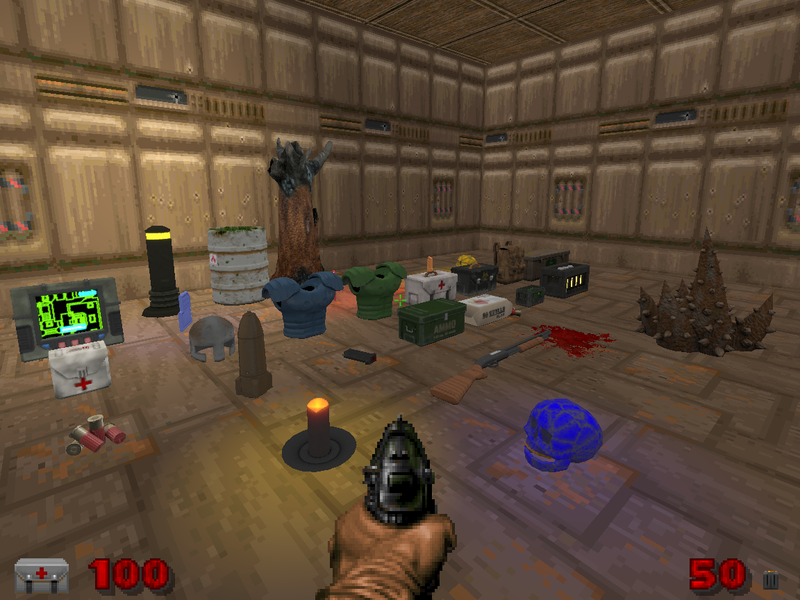 In GZDoom, models are just overrides for existing sprites. Perfect! Thank you for the reply, now I'm not confused about models. I do have one remaining question though: Which is the maximum size for a monster model? This is important, as I would like to create the Quargant for the "Lost in da mist" level. The Impossibly Tall Creature is no doubt too big, but the Quargant would be fine. One word - WHOA!!! This is HUGE!!! Um MaxED. You seem to know a lot of stuff 'bout modelling. My question is how do you add attack and death frames if you create a monster model? I know nothing about modelling - I'm a sprite artist, yet, there is a monster which'd fit perfectly on the level "Lost in da Mist", the name is Laphodorm. (this creature is a creation of mine, it does not appear in the film or in the novel). I would like to know how this is done, before I'd ask someone to create a model out of it). You remap the animation frames of the MD3 to a sprite name. Of course the actual sprite lumps can be anything, they don't have to contain useful graphics (though software renderer users will see blank actors). You can use this dummy sprite template Gez helped me generate for lots of dummy frames, should be plenty enough for smoothly animated models. Copy and paste into your TEXTURES lump. EDIT: I just re-read your question. Seems like you have no experience in modeling. I suggest you pick your modeling package of choice and stick with one. I would suggest 3ds Max. You can download it for free and legally too if you're a student. 3ds Max is widely supported and there are literally thousands of tutorials available online, on Youtube, etc. Even the built-in tutorial movies are a great help, and the help files also cover a lot on low poly modeling. I'm probably going to get a lot of fire for this, but I'd suggest skipping things like Blender and stuff. 3ds Max is the industry standard anyway and you can get jobs easier IF you decide to go that route, cuz most studios favour those well-versed in 3ds Max. So why bother learning something redundant, it's better to start on the right track right away. Nash wrote: So why bother learning something redundant, it's better to start on the right track right away. Hmm very well, if it really worths the time...thanks for the advice.